These are a belated birthday gift for my lovely friend Klaartje, who kept her birthday secret until the day and because I am soooo slow at making things, it’s late. I have included several patterns that are IKEA. The other patterns are IKEA style. There's quite a mix in here with some suitable for men and children. So... Happy Belated Birthday, Klaartje! 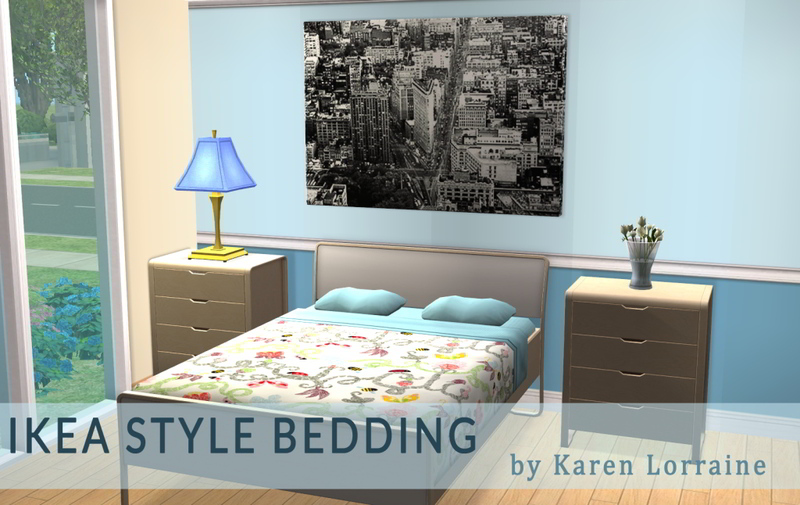 EDIT: I have uploaded the matching curtains here and the missing bedding. YAY I love these! 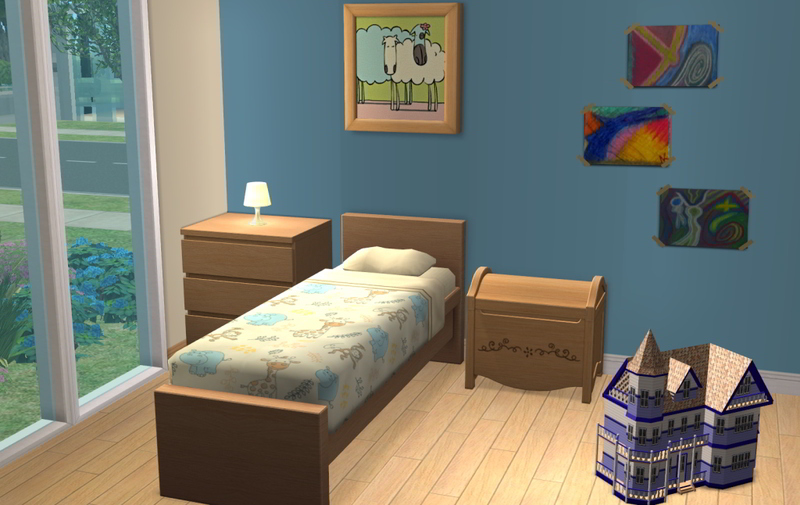 I was moaning about the fact that my game was lacking some good kid's bedding, now I can use these! Thank you Karen! OMGosh these are lovely - and so well presented. Thank you Karen.